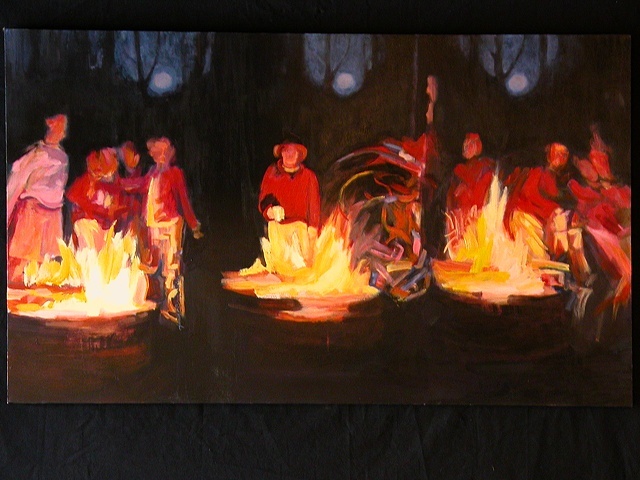 By merging three campfire scenes on a large canvas I had the opportunity of creating a playful mood with dramatic light. This is one of my first acrylic attempts leaving out oil colors/paint entirely. This painting references photographs taken with my NikonFE2 and tripod on a camping trip with friends in Ricketts Glen, PA.